Trivia teams and solo participants are welcome. 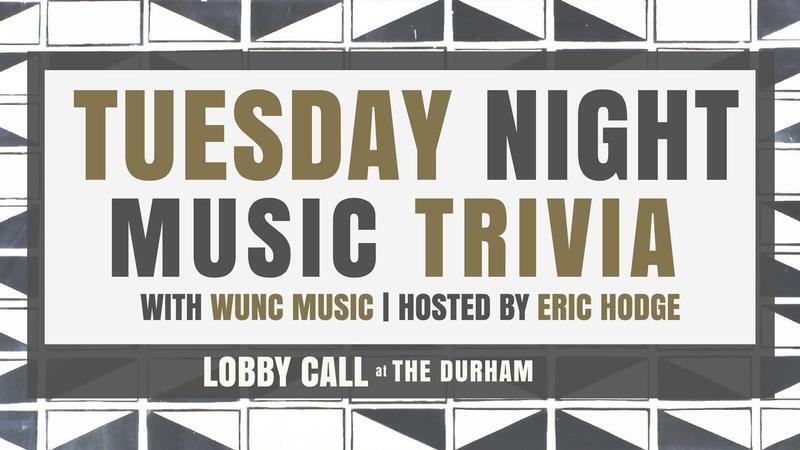 Eric Hodge will serve up a new batch of music trivia. Here's a hint: there will be a question about beach music, aka "shag music". Last month we were at the Durham Hotel (see our winners below). Congrats to our first NC Music Trivia champs, Ben Floats Five! Thanks to everybody who came out to our event at The Durham, plus Beats n Bars Festival, Triangle Psych Fest, Moogfest, The Pinhook, Motorco, & Merge Records for the prizes! Stay tuned for our next trivia date!